To realize benefits such as increased agility and efficiency, a major transition to an enterprise private cloud is a step in the right direction. This white paper reveals how Intel has undertaken this project and discusses the challenges it faced. 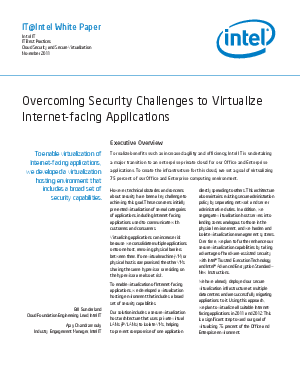 Read the paper now and learn how to implement secure virtualization and discover the benefits that could be achieved.